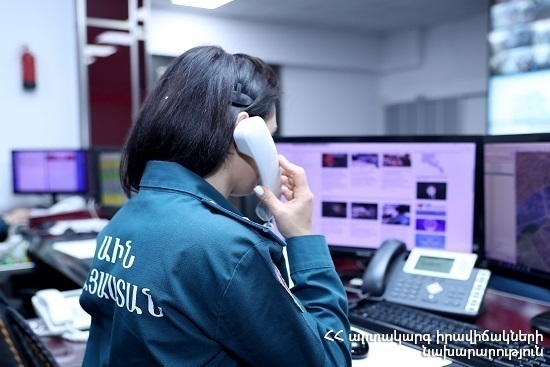 On April 16, at 12:21 an emergency call was received to “911” service that a car accident had occurred near building 21 of Garegin Nzhdeh street, Yerevan, a car hit a citizen and the latter appeared on the basement of the building: the rescuers’ help was needed. It turned out that “Mitsubishi Lancer” car had run off the roadway and hit citizen S. H. (born in 1948). The latter had rolled over the stairs and fallen in the basement on the first floor of the building. The rescuers took the citizen out of the basement and moved to the ambulance. S. H. was hospitalized to “Erebouni” medical center.